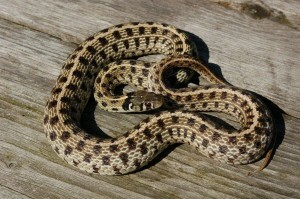 The Checkered Garter Snake is a popular species of gartersnake kept by many hobbyists. This species occurs from the southwestern part of the US into Mexico and even occurs as far south as Costa Rica. 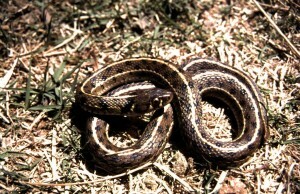 Three subspecies have been described of which only Thamnophis marcianus marcianus is available for the hobby, and probably all of the European specimens originate from the US. The subspecies from Mexico and middle America have never been imported into Europe as far as I know. 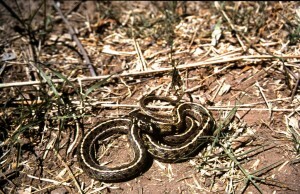 Length and size of Thamnophis marcianus marcianus. Thamnophis marcianus marcianus is size wise an average gartersnake. Females can reach a maximum length of 108,8 cm (Vial, 1957 in Rossman, Ford & Siegel, 1996), but usually they do not get much bigger then 80 cm. 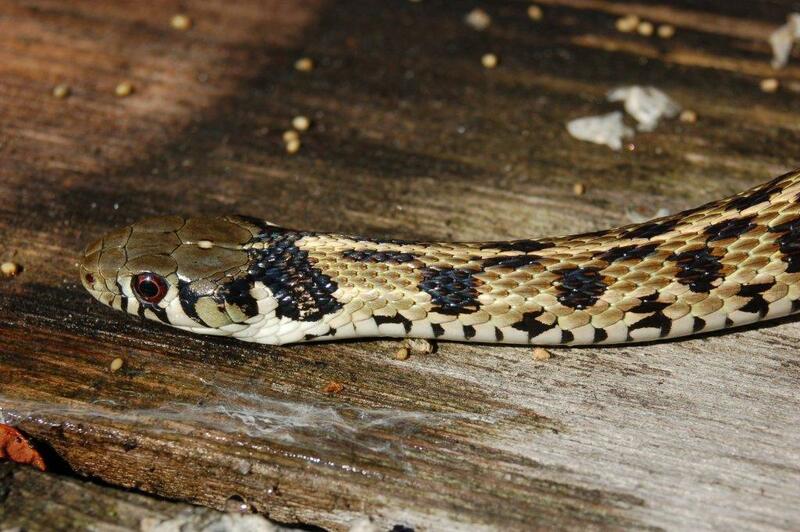 The males stay shorter (as in all gartersnake species) and also less heavy. The Checkered Gartersnake is a stout-bodied gartersnake. 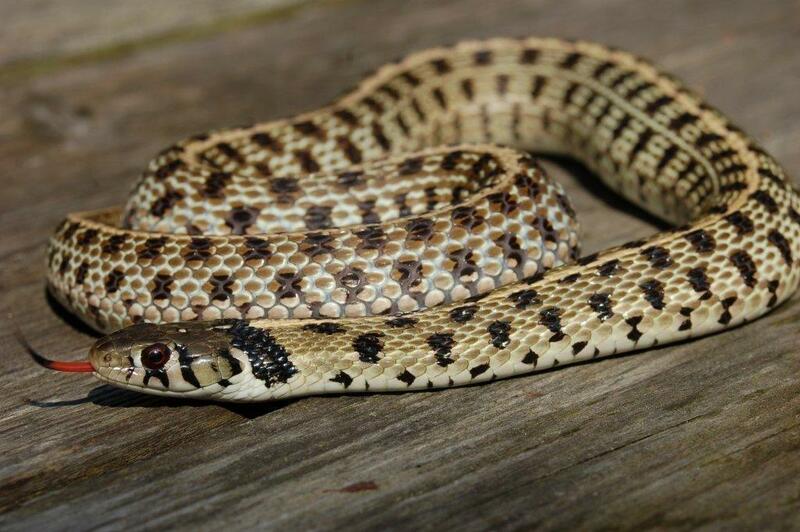 The Checkered Gartersnake is a light colored snake with a double row of alternating large black spots that form a checkerboard pattern (hence the name “Checkered Gartersnake”). 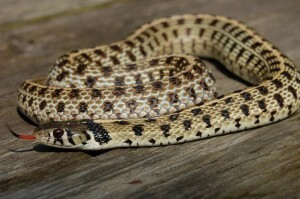 The dorsal stripe is usually thin, light colored and not very conspicuous. The large black spots are usually in strong contrast with the yellowish brown coloration of the dorsal scales. The light colored lateral stripe is very inconspicuous. The skin between the dorsal scales is white. Thamnophis m. marcianus does very well in captivity. Due to their moderate size a terrarium for an adult couple measuring 70 x 50 x 50 cm should be sufficient, but 100 x 50 x 50 cm is better. They require a bone-dry terrarium with a water bowl for drinking and swimming. Local temperatures should rise during the day to 30-35 °C. I hibernate both the adults and the newborn babies. My breeding group originate from the Davis Mountains in western Texas where they occur near little creeks at an altitude of 1400-1500 meter. These populations hibernate for a considerable time (probably 5 months, personal observations). The babies are usually born in my terrarium between June and August. T.m.marcianus occurs from the southwestern part of the US into Mexico. It is a species that typically occurs in deserts and arid grasslands. In literature it is often mentioned that T.m.marcianus sometimes occurs far from a water source but my personal observations (Bol, 2000, 2000 & 2001) are more in line with what is said in Rossman, Ford & Siegel (1996): also in western Texas T.marcianus is found in and near water, mostly small creeks and little ponds. The Davis Mountains populations of T.m. marcianus certainly have a semi-aquatic life style. 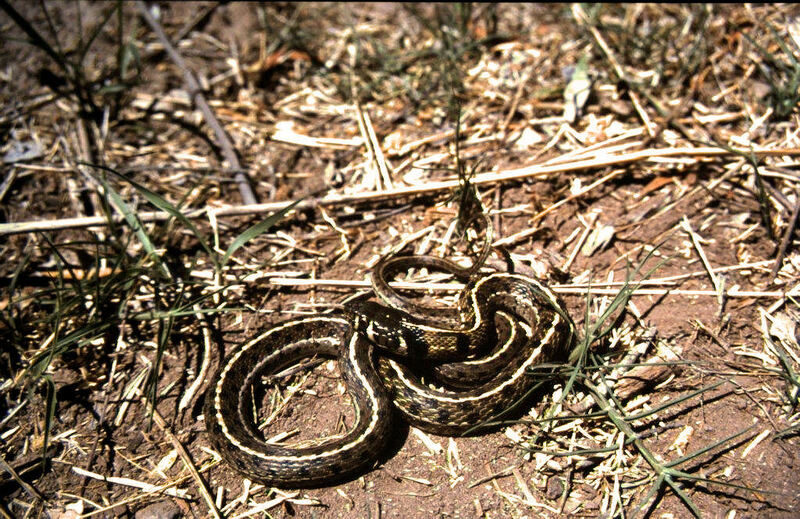 I observed on April 13th 1998 (Bol, 2000) around 2 PM (temperature was approximately 24 °C) 2 female Checkered Gartersnakes with a length of appr.65 cm swimming and hunting in small pools close to Ft.Davis. It seemed like the snakes recently had come out of hibernation. On June 17th of the same year I found in the same creek (that had almost completely dried up, it still had not rained a lot that year) a very skinny juvenile T.m.marcianus of 23 cm. This must have been a juvenile born in the previous summer. End of November night temperatures dropped below zero but during the day it felt nice and warm with temperatures of 17 °C. I could not observe any Gartersnake activity , despite searching intensively for several hours. 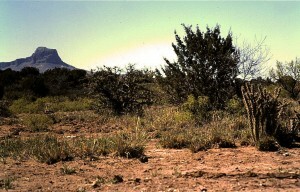 The Davis Mountains are part of the Chihuahua desert so it is a very dry area with only significant rains in the summer month (summer monsoon). Only creeks and small rivers offer fish and frog eating snakes (like T.m.marcianus) food throughout the active season. The area is also known for several frog and toad species that become active in large numbers during the summer monsoon and breed in the temporary pools that are formed by the heavy rains. Apparently T.m.marcianus is capable of surviving on this very temporary food source far away from permanent water sources. Beside the creek mentioned above in the Davis Mountains in western Texas I have visited two other habitats where T.marcianus occurs (Bol, 2000). 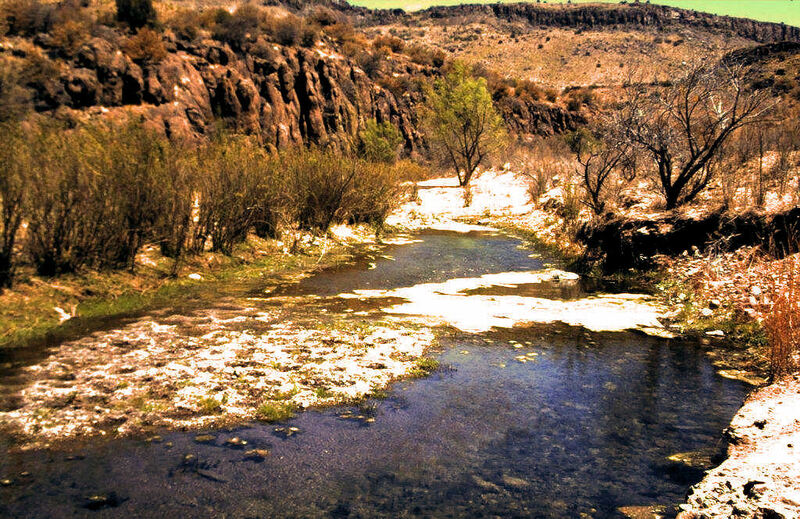 The first one was a fairly large creek with lots of fish and frogs south of Alpine, Texas. During 2 visits end of April in 1998 and 1999 I found on both occasions 1 adult T.marcianus (one year a male, the other year a female). They apparently where not very numerous, at least not in this time of the year. Another habitat is a creek in the Davis Mountains that I visited twice: March 19th 2000 and September 24th 1999. On March 19th 2000 I found no Checkered Gartersnakes despite searching intensively for a few hours and despite the reasonable temperatures (18-20 °C). On September 24th I found approximately 8 T.marcianus in and around the creek during a 4 hours search. Temperatures were quite high (30 °C) and due to the heavy summer rains the creek was full of water. This was the only time I found T.marcianus well fed with food in their stomachs. It seems that the populations of T.m.marcianus from the Davis Mountains are adapted to overcome long periods without feeding. Despite the very southern location (very close to the Mexican border) these populations have a period of activity much shorter then one would expect (probably from April-October). The guidelines for T.a.atratus (Bol, 2007) are in general also applicable for T.m.marcianus. My breeding group consists of (offspring of) 2 unrelated wild caught specimens from the Davis Mountains and 1 captive bred specimen of unknown origin. My oldest male is now (January 2013) 16 years old (minimum). I am breeding with T.marcianus since 2000. 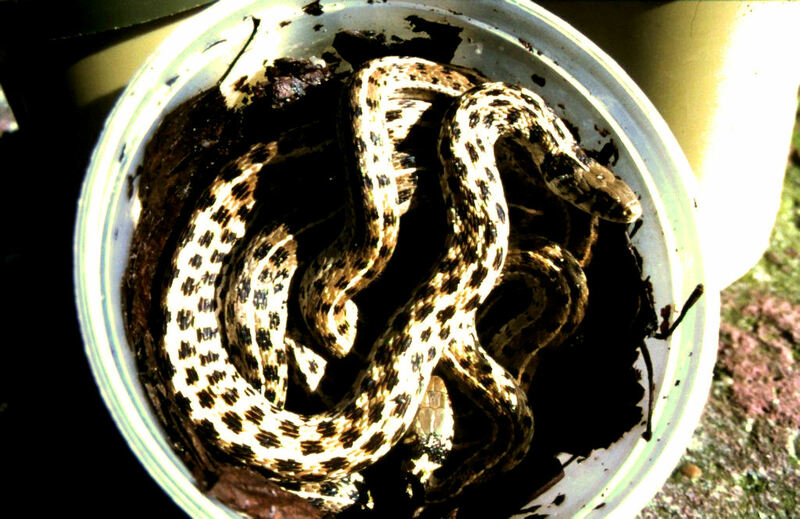 T.m.marcianus is highly variable (like most gartersnake species). 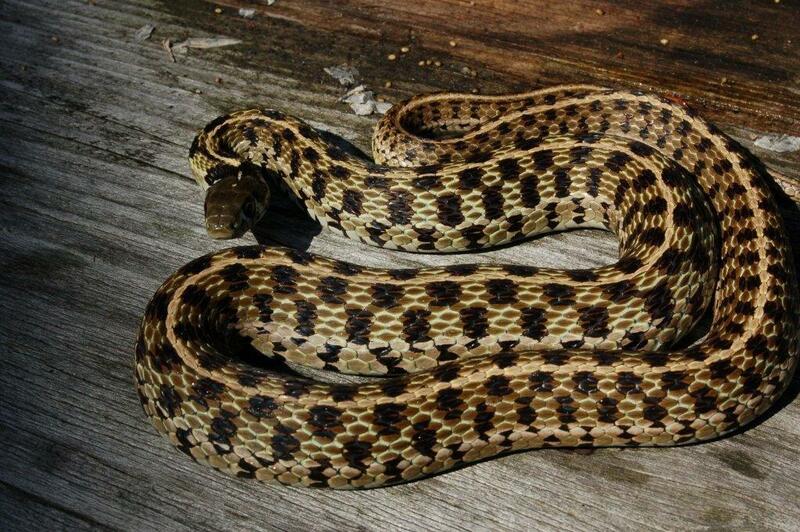 The snakes from my breeding group produce every year very pretty and high contrast babies with vivid coloration. Some specimens have very pretty greenish tones in their dorsal pattern. Bol, S., 2000. Some observations on Garter Snakes in Western Texas and Southeastern New Mexico. Part 1: Big Bend National Park-The Chisos Mountains. The Garter Snake 5 (1): 10-17 + 19. Bol, S., 2001. Some observations on Garter Snakes in Western Texas and Southeastern New Mexico. Part 3: The Guadalupe Mountains. 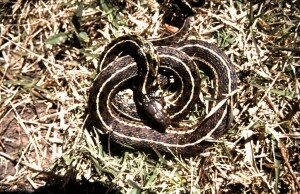 The Garter Snake 6 (1): 10-15 + 17a. Bol, S., 2007. 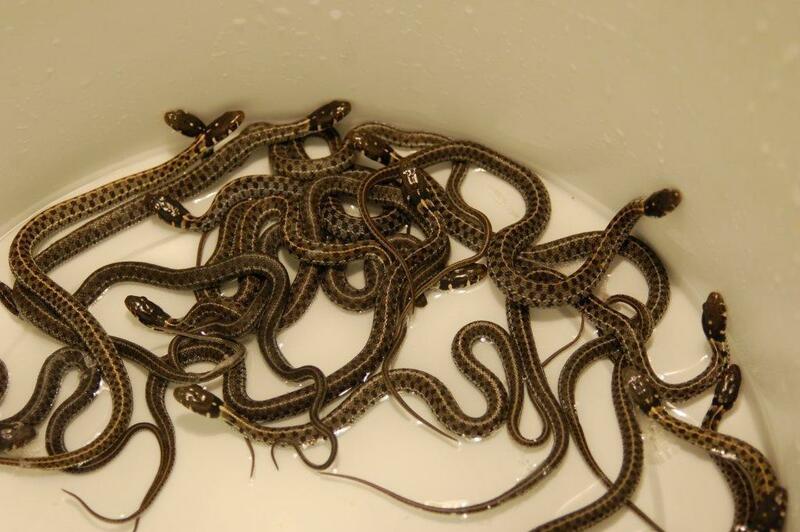 Verzorging en kweek van de Santa Cruz Kousebandslang Thamnophis atratus atratus. Lacerta 65(5): 200-217.